I received this album free of charge to facilitate this review. The band formerly known as Lucky Diaz and the Family Jam Band has a new name, new look, but same incredible sound. They’re still EMMY and GRAMMY winners. They’re still a husband and wife team. However to celebrate their tenth anniversary they’ve paired down their moniker to the sleeker The Lucky Band. They also changed their wardrobe to a modern vintage space age look, more streamlined than my clumsy descriptor. Lucky’s new album, Buenos Diaz, reminds us that with time things always move forward, but what’s important stays the same. They’re modern! They’re vintage space-agey! 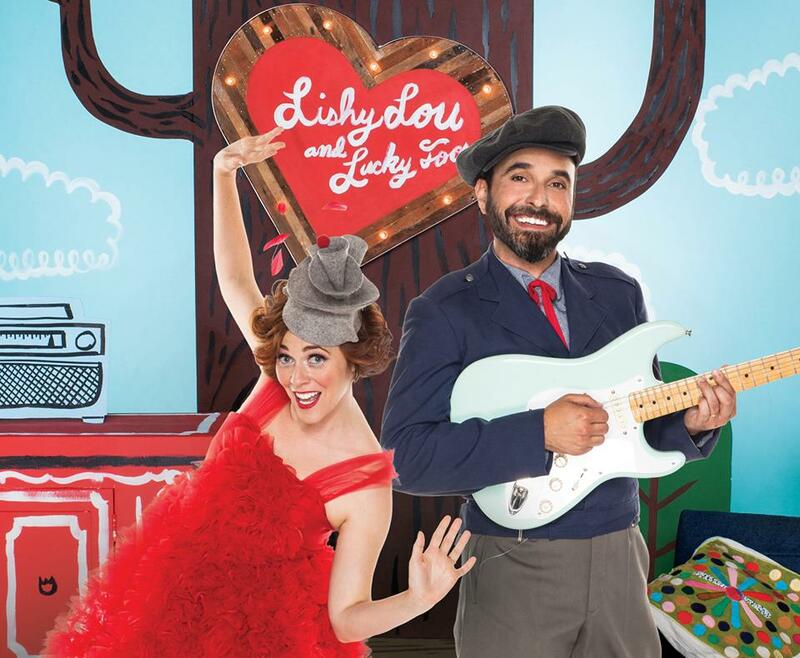 Lucky’s musical recipe starts as its base with his own distinctly soothing vocals. Whether layered with rock, bossa nova, tropicalia, or any other genre, the result is a perfect balance between new and familiar. Millennial pink apparel and rose-coloured glasses for the wide-eyed optimism of their Made in LA album. Lishy in her trademark red dress. In the end, this new album, Buenos Diaz, is neither about a tour of musical styles nor a bilingual education. As the title implies, it’s more about every day life. These are the songs a parent would sing to a child (and I’m sure that Lucky and Alisha do just that to their little girl.) Songs of food, of stars, of greeting the day, of love. No matter what language(s) you speak, or how many, that’s something to which we can all relate. Those are the important things that transcend time. As well as costume changes. Taco Tuesday. Because: of course. Buenos Diaz releases to the public April 5th. Get yours wherever you get great music.